Unemployment is set to increase very soon. 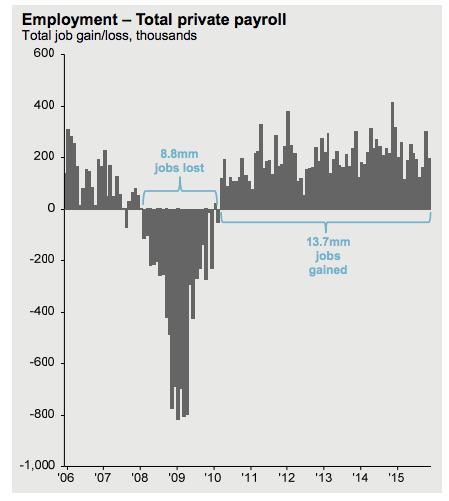 Although the recovery in jobs has been stronger than most realize or are willing to accept, it's about to reverse. Rising unemployment is coming (and so might a recession). The employment situation has been better than most realize or are willing to accept. 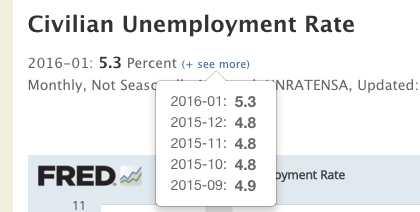 According to the unemployment numbers, we've seen slow but steady growth in jobs. The Unemployment Rate is much lower than it was in 2008 and 2009, at the height of the Great Recession. Unfortunately as it relates to Unemployment, it always looks brightest right before it turns for the worse. When unemployment it at or near decade-lows, it tricks us into thinking that the economy is certainly doing well. 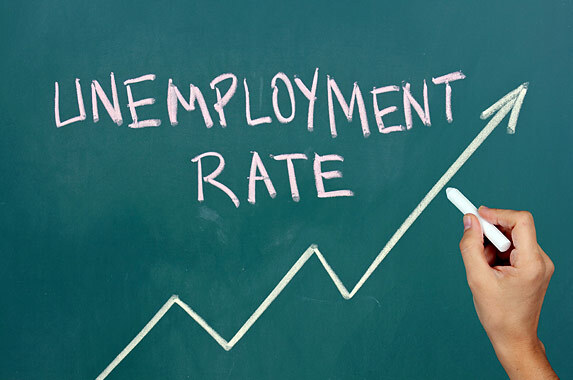 The economy does in fact grow and improve as the Unemployment Rate falls. However, the closer we get to the "turning point" or decade-low, the higher the probability that economic growth is about to reverse course. In other words, Unemployment has dropped so much that this could be the best we'll see. 5% Unemployment is not bad! We should be happy that the US figured out how to keep unemployment low. But, if Unemployment is about to rise, that likely also means that economic growth is slowing. Another signal pointing to higher Unemployment is the major difference between the "Seasonally-adjusted" and "non-Seasonally-adjusted" Unemployment Rate numbers. The government agencies like to "seasonally-adjust" official numbers in order to "smooth" out results and/or remove unjustified deviations due to catastrophes, one-time events, or season-related trends. This results in much smoother, less volatile results over time - as can be seen in the long-term Unemployment Rate charts. Most of the time, both the Seasonally-adjusted and Non-Seasonally-adjusted numbers trend in the same direction. But when they don't, a major trend change could be underway. In our case, while the "Seasonally-Adjusted" Unemployment Rate made a long-term low of 4.9% last month (January 2016), the "Not-Adjusted" Unemployment Rate rose significantly to 5.3%! Both adjusted and not-adjusted numbers have moved together, but have now diverged. 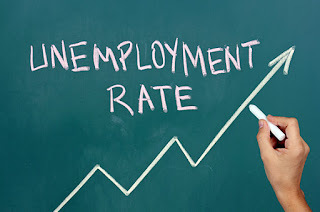 Unless the economy or jobs situation has improved over February, it looks like we could see an increase in Initial Jobless Claims and the resulting increase in Unemployment Rate. I would also argue that employment this time around is much more of a "mixed-bag" than in prior years leading up to a low in the unemployment rate. participation rate is not as strong as in prior years, and far more folks who have jobs, are taking on unfavorable jobs. Next recession be very interesting.